There is no better time to celebrate your birthstone than now! Beautiful iridescent Opal is the product of seasonal rains that drenched dry ground in regions such as Australia’s semi-desert “outback.” The showers soaked deep into ancient underground rock, carrying dissolved silica (a compound of silicon and oxygen) downward. The stone name opal comes from the Sanskrit word “upala” for stone, or precious stone. There are seemingly endless varieties of opal, ranging from opaque common opal to fiery precious opal. 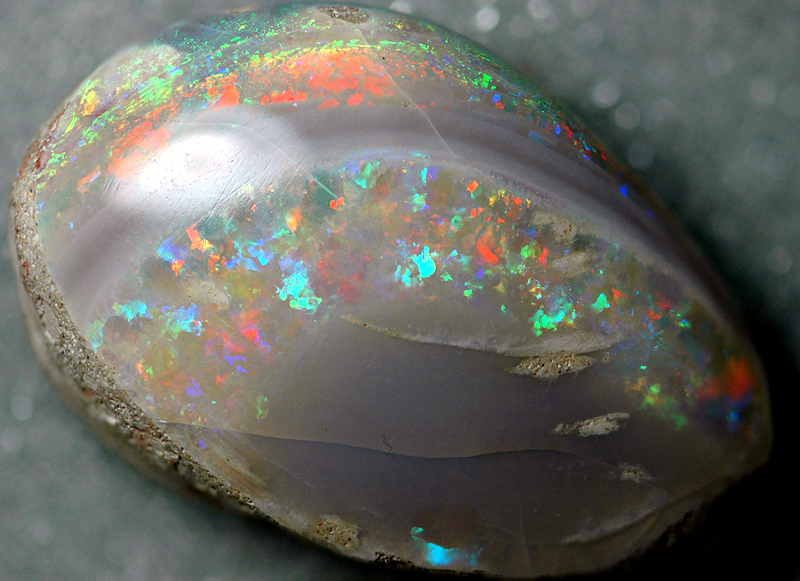 Opal is said to be a stone for love. It brings the inspiration of love into a stagnant heart chakra and brings renewal. This can take the form of fiery sensual love or gentler unconditional love and any shade of love in between. Opal is also said to bring fidelity to love. Come visit us today and make your birthstone a part of you! © 2019 Cass Jewelers All Rights Reserved.